Taking place at the newly renovated Scandic Star Hotel, at WADC you get a unique possibility to extend your network of swimming, get new knowledge, new ideas and get inspired by speakers and by meeting other participants. We will have interesting speakers, workshops, discussions, exhibitors and lot of possibilities to meet new colleagues of swimming. The Lifesaving Foundation is pleased to announce the awarding of the 2017 Ireland Medal to Royal Life Saving Society Australia lifesaver Dr. Shayne Baker D.Prof. OAM in recognition of his long exceptional service to saving lives from drowning worldwide. Justin Bakinga, National President RLSS Cameroon Branch, was among the honoured guests receiving a certificate of thanks from Prince Michael of Kent and was privileged to be presented to HM the Queen during the special ceremony at Buckingham Palace, London, on 22nd November to mark the 125th anniversary of the RLSS Commonwealth Branches. STA was honoured to be invited to Beijing to celebrate the launch of the China International Swimming Teachers’ Association (CISTA) this November. In a weather-battered finale on Saturday 24th September 2016, Ireland’s top lifesaving athletes competed for the final event in the Irish Water Safety Sport series that saw Co. Clare retain their dominant position as National champions and capping their best season ever. Irish Water Safety is appealing to the public to stay safe in and around water amid a UK and Ireland heatwave this summer. The IWSS Local Organising Committee have issued a thank you statement to those who attended the 2nd International Water Safety Symposium in Incheon, South Korea in June. A Chance for Children is the name of the new children’s book and water safety program, created by Dr Stathis Avramidis and inspired by true events from the life of Greg Bonann and Tai Collins, the creator and screen-writer respectively of Baywatch. The Danish Swimming Federation is happy to invite swimming teachers, instructors and leaders in swimming education from across Europe to the LEGOLAND Hotel and Conference in Billund between April 1st – 3rd for the 2016 Learn to Swim Conference. Interested in running a stand at the Learn to Swim Conference? Click here for more information. The Malaysia Swimming Teachers’ Association celebrated their 1st anniversary last month at their MSTA Seminar. Report by Garry Seghers, IFSTA CEO, on this year’s World Conference on Drowning Prevention. It is with great sadness that we must announce the sudden passing of STA Singapore’s Foo Chee Han on 26th November 2015. He will be greatly missed by all. Our thoughts are with his family and colleagues at this sad time. Vietnam plans to spend around $30 million reducing injury-related deaths among children and teenagers, which currently stand at a very high rate compared to most of the world. We believe our recent meeting at the World Conference on Drowning Prevention, with Vietnamese charities, partners and government representatives had an influential factor on the announcement. Justin Bakinga, President of RLSS Cameroon, had this wonderful update to give us regarding their work to expand water safety education, lifesaving and lifesaving sports training, and to prevent and reduce the unacceptable loss of human life through drowning and water related injuries. On Friday there will be a full moon and and consequent spring tides which will leave the public exposed to stranding around our coastline and strong rip currents this weekend. August is the most popular month for outdoor swimming and aquatic activities prompting Irish Water Safety’s appeal to swim at Lifeguarded waterways and to stay close to shore and within your depth. The warm weather has brought many people out to enjoy the seaside and coastal walks, however the CEO of Irish Water Safety, John Leech is warning the public that there is a full moon tomorrow 2nd of July which is causing high spring tides which poses a higher risk of being washed in to the sea or being dragged out to sea by a rip current. The 2015 Ireland Medal Ceremony took place on Wednesday 17th June in the Garda College (Ireland’s Police Training College) in the presence of senior members of An Garda Síochána, RLSS UK, RLSS Ireland, and The Lifesaving Foundation. The ceremony was in four parts. Today’s release by Irish Water Safety of the drowning statistics for 2014 reflects the importance of uninterrupted child supervision and an appeal for people to take training before pursuing aquatic activities. This appeal comes in the wake of 114 drownings last year, 23 more than in 2013. To mark National Water Safety Awareness Week (June 15th – 21st), Irish Water Safety is appealing to teachers in our 3,500 primary schools to give the 500,000 children the vital information they need before the summer holidays. Drowning prevention, aquatic survival and lifesaving training continue in Cameroon despite hardships and persecutions. President Michael D. Higgins will officially open a new Lifesaving Training Centre on Friday March 20th which will train Lifeguards and the general public in Irish Water Safety’s syllabus for swimming, water survival and rescue skills that save lives from drowning. With the news that 413 swimmers were rescued in July by Lifeguards in Ireland, the CEO of Irish Water Safety, John leech is urging the public to use the Local Authority manned lifeguarded bathing places to ensure there are no more swimming tragedies this summer. Irish Water Safety (IWS) has appealed to the public to stay vigilant around water and not to become another drowning statistic. This appeal comes in the wake of IWS drowning statistics for 2013 which recorded 91 drownings, the lowest for 78 years. IFSTA held their annual board meeting in May 2014, which was hosted by the Hong Kong Swimming Teachers’ Association as part of their conference and 40th anniversary celebrations. Read the report by Dave Candler, STA President. On January 1st 2014 the national annual drowning statistics are reset to zero. As a mark of remembrance to the lost souls of loved ones that have drowned in water along our coasts and inland waterways and to urge all water users to be extra cautious in 2014, the Dublin Branch of Irish Water Safety organised a ‘New Year-Zero’ plunge at Sandycove Beach from 12pm to 1pm on January 1st 2014. The IFSTA Application Form has been updated. Changes have been made to the IFSTA fees that will take effect from January 2014. Fresh from saving hundreds of lives from drowning during the summer hot spell, Ireland’s top Lifeguards gathered yesterday at Wexford’s “Saving Private Ryan” beach, Curracloe, to do some saving of their own, this time pitting their skills against one another for the title of National Surf Lifesaving Champions 2013. Claire Lifesafers Dominate National Surf Lifesaving Championships and Take the President’s Trophy for the Three in a Row at Curracloe Beach, Co Wexford, Sat 14th September 2013. Congratulations to NVZ for becoming the first institution in the Netherlands to have their qualification recognised by NLQF. A final report was just released by Griffith University in Australia as to findings from a four year research study into the Social Capital Benefits of Early Years Swimming Lessons. 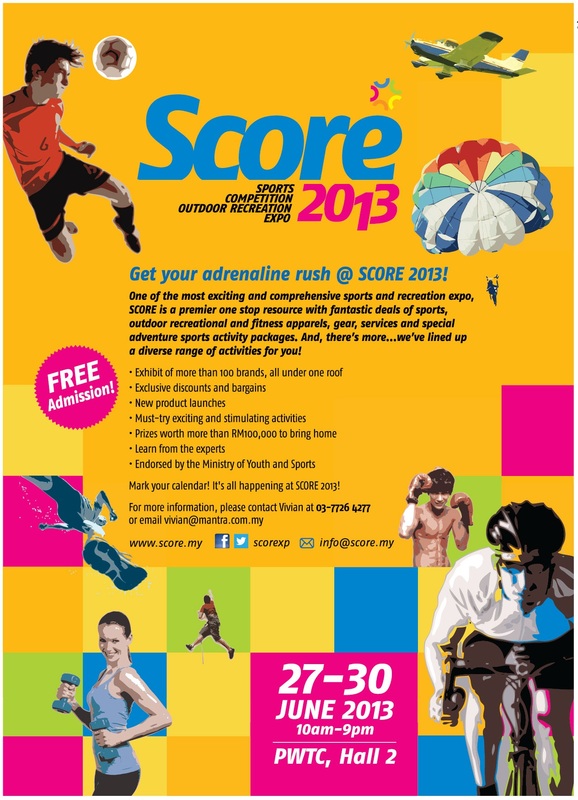 WSTA will be participating in the coming exibition SCORE 2013, a premier one-stop resource with a comprehensive expo and fantastic deals of sports and recreational apparels, gear, services and special sports activity packages. It is a 4-day event from 27th-30th June held at the World Trade Center, Kuala Lumpur, Malaysia. There will be clinics, workshops, demonstrations and competitions. It’s objective is to provide a platform for businesses involved in the sports and recreation-related industry to promote their products, activities and services. WSTA will be promoting STA Swimming Teaching and Lifesaving courses at this exhibition. Backing onto the ASCTA Convention 2013 in Australia, the opportunity was taken to get IFSTA CEO Roger Millward and STA Operations Director Theo Millward together with IFSTA Asia-Pacific Region Members to share ideas and update on developments. Leading leisure exhibition, Leisure Industry Week (LIW) has today announced an official partnership with STA. The three year partnership will see the STA host the STA Swim Zone within the exhibition, which will showcase a range of exciting events throughout the duration of the show. Swalings Antigua Limited is proud to have introduced five qualified young men to their team of official lifeguards and swimming teachers. All the boys (pictured here) are now fully qualified Pool Lifeguards and STAC Swimming Instructors. We’re not sure if there is a record for a distance that a candidate has travelled to an STA course, but travelling all the way from China to Scotland to attend a four-day Baby and Pre-school course must be up there, being a 10,000 mile round-trip! STA has unveiled a new, easy-to-navigate website that offers leisure professionals a streamlined search facility and enhanced features. STA has announced a new partnership with ICON TRAINING, which will see the leading training provider deliver government-funded apprenticeships that exclusively incorporate STA’s swimming teaching qualifications. In 2013, STA will become Swimming Pool News’ official pool plant partner – starting in the February issue, this coincides with the launch of STA’s new Pool Plant qualifications at SPATEX 2013. STA Trustees have promoted Theo Millward to the position of Operations Director. Theo is now responsible for overseeing the technical, marketing and IT teams at Anchor House, and ensuring that STA continues to innovate and lead the way in the leisure industry.